Although no one wants to hear that their home has been invaded by termites, it’s essential to periodically and thoroughly check one’s home to be sure. While these tiny little insects aren’t considered to be deadly, or bring any diseases with them that can be spread to humans, like spiders, rodents and roaches can, termites can cause a lot of structural damage to your home and property. Because these destructive pests are able to cause a lot of damage to your home, it’s necessary that you take control of the situation immediately in order to limit these damages. 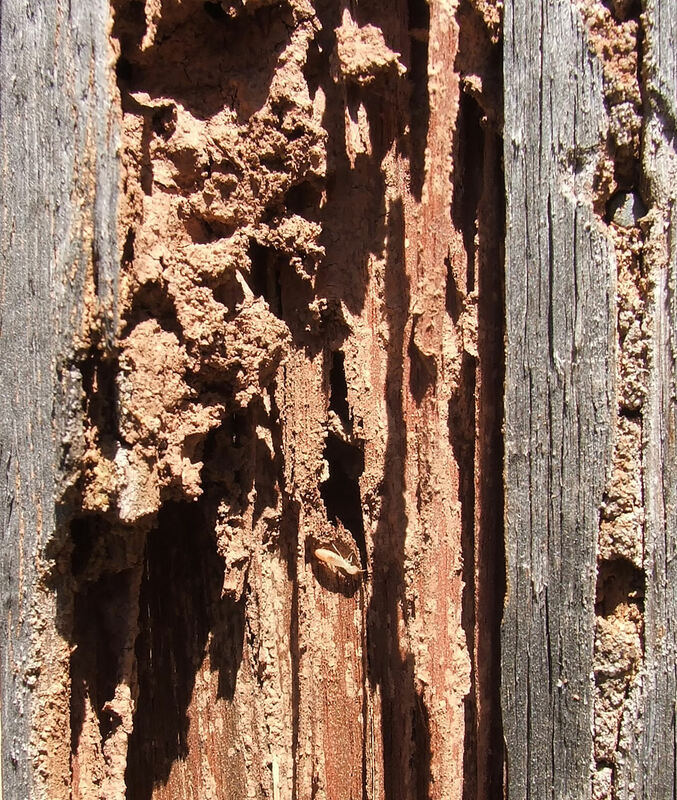 There are a few signs you can look for in order to determine if your home has been found by termites. First, you’ll want to carefully inspect the foundation of your home and garage to see if there are any mud tubes, which termites create so they can easily travel around your home looking for the best meals! The name fits the description, as the mud tubes look like tubes or tunnels made out of mud, which are usually found outside of the home, and inside of the garage, basement or attic. Next, be sure to check any entry points, such as window and door frames, for any signs that termites are eating your wood, or wood decay. This suggests weak spots and are thus more prone to termite entry and infestation. Even though many people think they can fight the termite battle themselves, it’s highly recommended that the services of a professional are sought due to their ability to properly assess the situation. Many times people will see signs of termites in or around their home, and then go about buying a few over-the-counter solutions, like termite bait or a liquid termiticide. In a handful of instances, these methods can be effective, but in most cases the investment (i.e. your home) on the line is simply not worth the risk. It’s not a matter of putting some bait traps around the house and then forgetting about them: getting rid of termites takes time. Once you’ve decided to use a DIY method, you’re going to need to monitor just how effective it is by using a monitoring system. If you’ve recently found that termites are living in your home, and you’re not sure what to do, know that you’ll need to decide very soon. Termites are able to eat the wood in your home at an incredible rate of speed, which means that you have no time to waste. If you aren’t sure about fighting the termite battle yourself and feel that you would benefit from some professional help. We have over 20-years experience and certainly recommend the latter option! Stay tuned for the second half of this article, which talks about why you might need a professional termite company to assist you in removing these pesky creatures, as well as some of the advantages you’ll receive when hiring someone who specialises in termite removal.